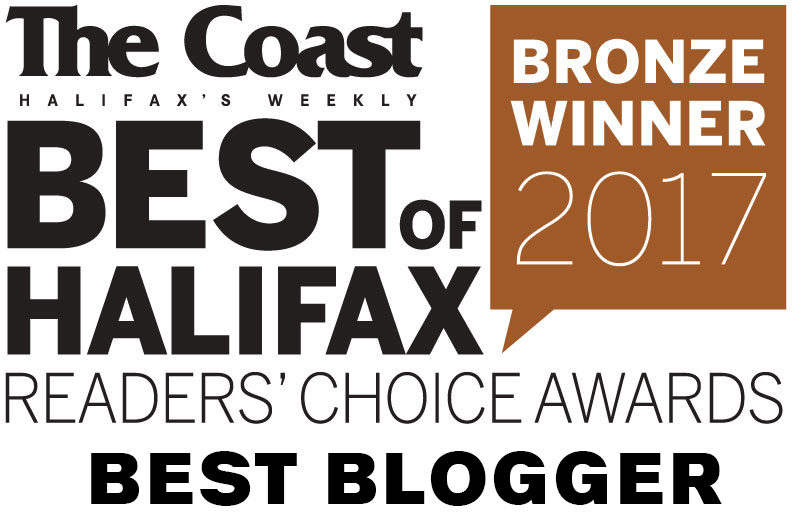 I first heard about this sandwich from The 101 Best Things to Put in Your Mouth in HRM, a list compiled by Halifax ReTales in 2013. That list mentions a few notable sandwiches, and was probably the inspiration for my Sandwich Showcase. 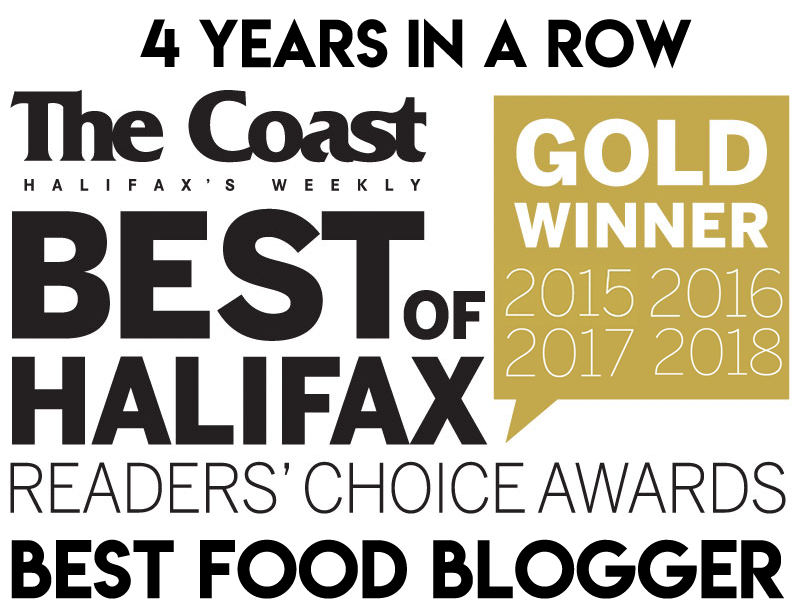 Just this year ReTales, still a lover of sandwiches, has started his own sandwich blog, wich.ca – check it out! You can get it grilled if you want, which I would recommend. I was worried this sandwich would have an overpowering mustard factor (which can be a such a sandwich killer) or that it would be too salty – but it was instead well balanced and delicious. The salami had a good spicy heat, and was complimented by the sharp mustard, tangy dill, creamy cheese and earthy olives. The dense mass of thinly sliced salami had a nice chew while still succumbing to my incisors and canines. The crunchy dill and crispy bread rounded out the textural elements. In other words, this is a great sandwich! 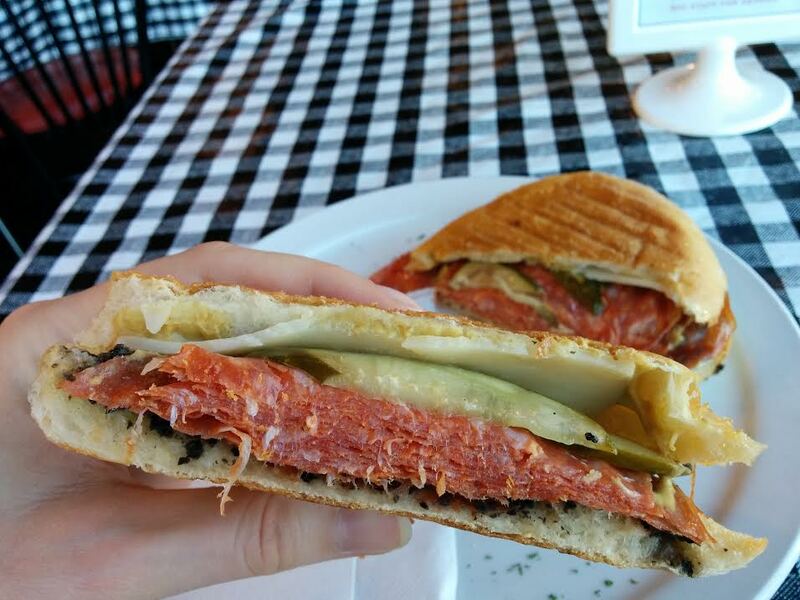 If you’re a fan of spicy salami, definitely try this one. 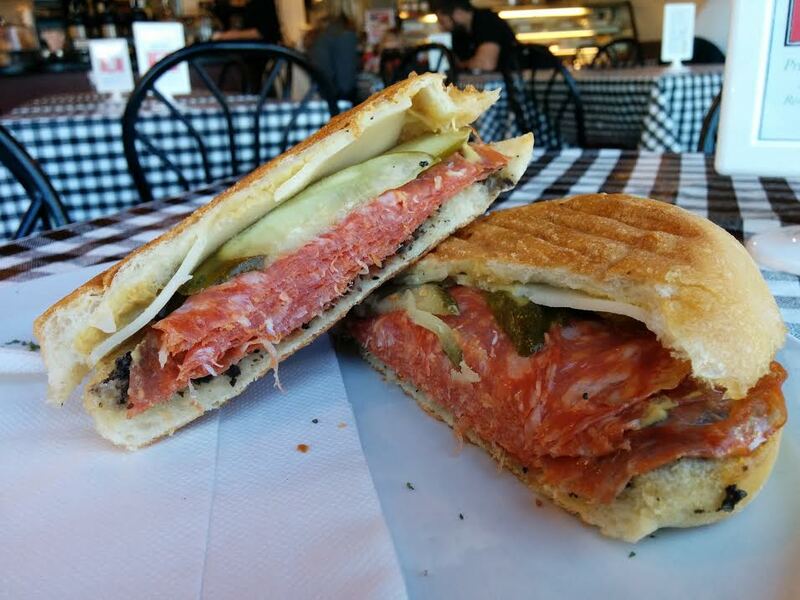 The mozzarella and prosciutto sandwich at Italian Market is to die for.